First released in the 1980s, the Dodge Caravan has been the iconic family car beloved by Soccer Moms everywhere. It’s had a few changes over the generations, but keeps most of its classic features in tact. Why change a good thing? The new 2016 model comes six trims, and the most basic is known as the “American Value Package” or AVP. The 2016 Dodge Caravan AVP is powered by a 3.6L V6 24-valve VVT engine. Standard with a 6-speed automatic 62TE transmission, this versatile minivan gets up to 283-horsepower and 260 lb-ft of torque. Drivers can expect an average fuel economy of 17/25 MPG city/highway from this automobile and the minivan’s fuel tank holds up to 20 gallons. Carpooling is a breeze with a seating capacity of seven, plenty of space for an average family or a couple of tots from the teeball team. 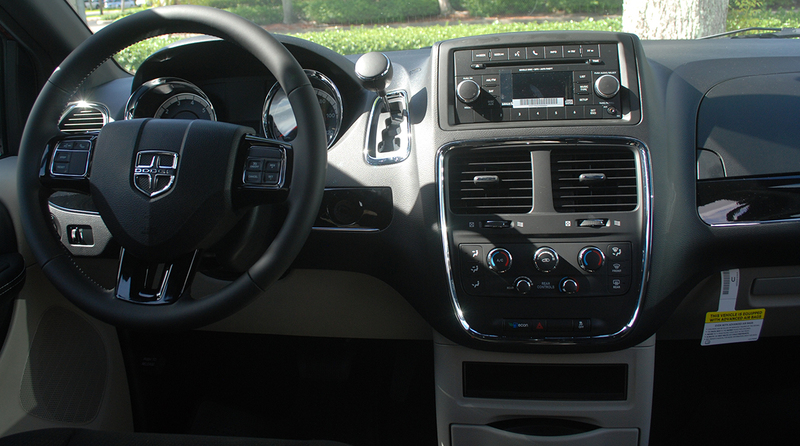 The Dodge Caravan American Value Package comes with Audio & UConnect multimedia that allows drivers to plug in mobile devices into an auxiliary jack, MP3 player or just listen to the radio. For more music options, a SiriusXM Satellite Radio 1 year subscription is available. A Stow ’n’ Go bench is integrated into the third row for extra cargo space. Developed by Dodge, the stow/n/go bench system allows for a row of seats to be folded into the floor of the vehicle, thus creating a flat space for extra cargo to be placed. Folding and unfolding the rows is easy, performed with a switch and applying force in the desired direction, and very convenient for storing gear, equipment, etc when necessary. If you’re looking for more entertainment options, the other trims come with add-ons such as a DVD-player console for an additional price. Wireless headphones are also optional for the passengers to plug-in and keep the driver from being distracted while DVDs are playing. The higher end trims come with a blu-ray or DVD player and HD multimedia interface. Pick up to two color combinations to personalize the cabin and interior. As with most caravan models, the driver side and passenger side door slide open. The van’s exterior mirrors are power heated to avoid fogging up during rain and low-visibility weather. The 2016 Dodge Caravan AVP rides on 17-inch rims and P225/65R17 BSW Touring tires. Buyers have the option of upgrading to all-season tires and adding on a compact spare time to their purchase. Drivers have multiple color options to stylize the exterior of their vehicle based on personal or business preference. Built with family in mind, the Dodge Caravan American Value Package has advanced multi-stage front airbags, supplemental front-seat mounted side airbags and side-curtain airbags. A standard feature on all trims are power heated exterior mirrors to keep them from fogging up and a rear window defroster for clear visibility while on the road. For additional security, in case of potential theft, a keyless entry immobilizer system is installed into the vehicle; if an invalid key is used on the car, the engine will shut off. Electronic stability control is another feature with the Dodge Caravan to keep the vehicle steady while in motion. 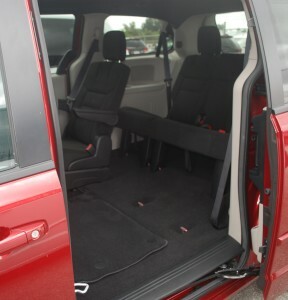 In addition, the Grand Caravan has anti-lock, 4-wheel, heavy duty disc brakes. As it says in the name, these brakes help to prevent wheels from locking up to and they offer the driver better steering control over the car under slippery conditions or situations that call for extreme braking. 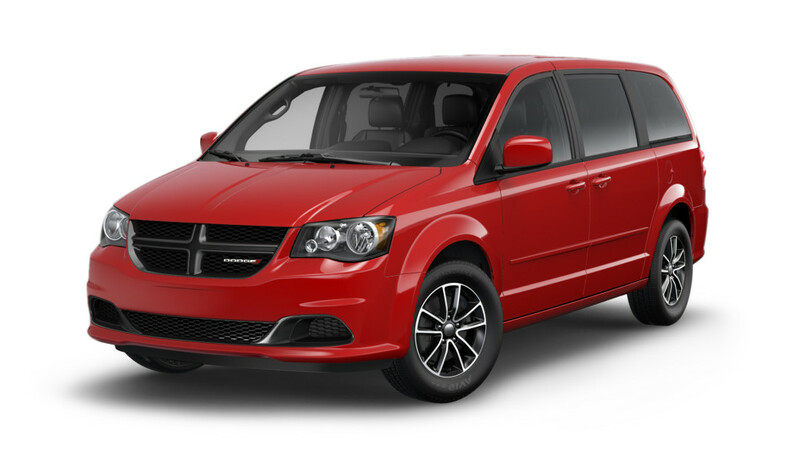 The 2016 Dodge Caravan American Value Package has an MSRP of $22,595. The other five trims climb steadily in price, starting at $25,095. The caravan AVP is backed by a 3-year/36,000-mile warranty and a powertrain 5-year/60,000-mile warranty. Road assistance and rust-through is also covered for 5-years or 60,000 miles. Where can you get a 2016 Dodge Caravan AVP? You can find the Dodge Caravan AVP and other Dodge cars at Aventura Chrysler Jeep Dodge Ram located in Aventura/North Miami Beach. You can view our online inventory here, or come visit us today.